Can love truly conquer all? 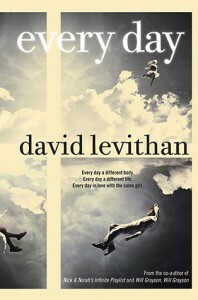 California State University, Northridge’s incoming freshmen this fall will have the opportunity to explore this question with the 2015-16 Freshman Common Reading selection “Every Day” by David Levithan. The story introduces the reader to A, a teen who wakes up each day in a different body without warning about gender or other circumstances. A has acclimated to this existence by living within a kind of code: don’t get too attached, avoid undue notice and leave things as much the way they were as possible. All goes well until the day A meets Rhiannon while inhabiting the body of her boyfriend, Justin, and soon the code no longer applies. What happens next is a tale of love’s possibilities in the face of extreme inconsistency. Freshman Common Reading books are chosen by a volunteer committee that consists of CSUN students, staff and faculty. Selection criteria consider such things as range of interdisciplinary context, diverse cultural and social perspectives and ability to promote intellectual conversation and growth. Freshman Convocation will take place on Thursday, Sep. 10, on the Oviatt Lawn at 6 p.m. Levithan will be the keynote speaker. The Freshman Common Reading program is one of the many ways that CSUN supports first year and transfer students via Academic First Year Experiences. Programs such as the Common Reading Program and Freshman Convocation provide opportunities to link classes to co-curricular learning so that first-year students begin university life smoothly. For more information about the Academic First Year Experiences program, call (818) 677-6535.